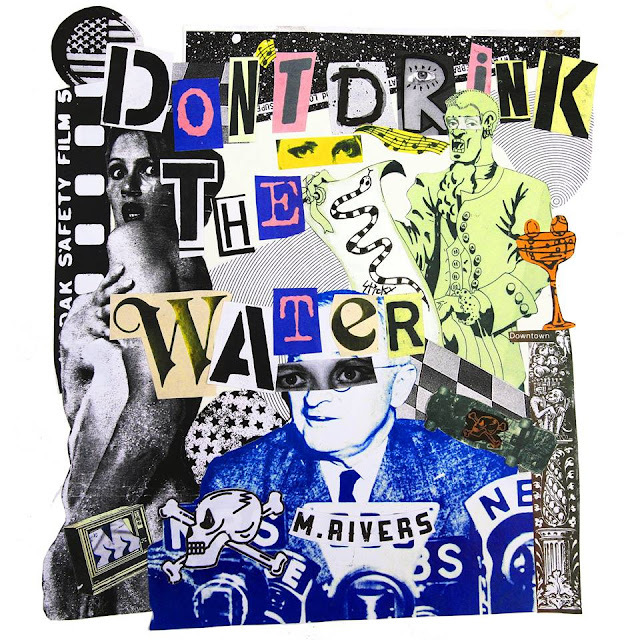 Los Angeles-based alternative artist M.Rivers has just released his brand new single Don’t Drink the Water, a bass heavy alt-rock single about not believing in everything we are told and to question the the information we get. Apart from the poignat lyrics I've got to say that the star of the song is the guitar work: impeccable! Super infectious and groovy and you can stream it below! The idea behind, ‘Don’t Drink the Water’ is to challenge us to think for ourselves and the information we are given in regards to our livelihood and well-being of others and our planet. Don’t Drink the Water was produced by the multi-platinum selling musician and founder of Parts + Labor Records, Jimmy Messer. Born and raised in Ontario, M.Rivers knew he was passionate about music from the get-go as he began writing songs at the age of seven and had his first recording studio experience at the age of sixteen. Rivers pulls inspiration from numerous genres and artists such as Tom Petty, Freddie Mercury, Aretha Franklin, Tupac Shakur, Bob Dylan and Otis Redding. He sees his music and influences as eclectic and has a difficult time defining himself and his music as he has so many inspirations. After moving around and having been signed to multiple record labels, including Epic and Hollywood Records, under names Kazzer and Redlight King, M.Rivers settled down in Los Angeles and has lived here for the past ten years.